Simon is the Co-Founder of PSV Union FC and is currently Technical Director of the club. 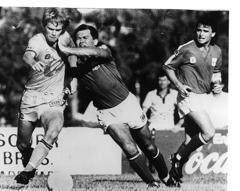 With 30 years professionally as a player & coach Simon is a third generation professional player. Simon is recognized as being one of the best players to play in the USA over the past 25 years. 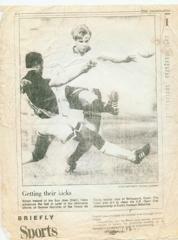 He was the leading player for the San Jose Oaks, US Open Cup Champions, and co-coached the team. 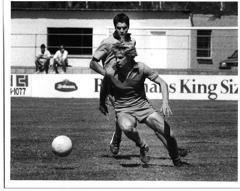 The Oaks also went onto to play in the CONCACAF Championship vs Monterrey (Mexico). Simon played for a brief time with San Jose Blackhawks (became Clash & Earthquakes) and turned down multiple offer to play in the MLS after being one of the top players in the draft. He has directed & managed day & resident clinics/camps and created directed & managed european team tours for youth players, for boys and girls, with Clubs, National Associations, Federations, worldwide. Over the course of his career he has acquired a wealth of knowledge and continues to develop contacts through work experience on four continents. He has worked as a professional coach in England, Czech Republic, Dubai, Indonesia, Hungary, Australia, Brunei, as well as many regions in the USA. Simon was a personal assistant to Wiel Coerver in Dubai (United Arab Emirates) at the Al Wasl Club and an assistant to Mr Coerver at several of his U.S. camps, helping to establish the Coerver Method worldwide. In 1988 he was also responsible for the introduction, promotion and establishment of Wiel Coerver’s ‘Method’ in Australia and New Zealand. He and his brother Gary were the first coaches to bring the renowned skills training method to both Australia and New Zealand, invited by State and National Associations in both countries. Simon made an immediate impact upon the Northern California coaching scene satisfying the needs of a large pool of potentially talented youth soccer players. Years later, after developing a coaching network of top class professional youth coaches Simon continues to have an impact on the Northern California soccer community by setting the highest standards of teaching and mentoring young coaches. Many players in Simons training programs have progressed to the highest levels of the game. Through Simon's skills and tactical training methods, players have had the opportunity to further their respective soccer careers by going on to nationally ranked soccer colleges in the U.S.A. Manager & Head Coach England for 3 youth teams; vs.Liverpool, Chelsea, Blackburn. sightseeing & training & visit to Liverpool FC Academy. Conceptualized and managed collaborative project with the Japanese Travel Bureau (JTB) & FIFA for 50+ Japanese youth players to attend a soccer camp and English language lessons in the USA during the 1994 World Cup. Promoted and partnered with J- League team Hiroshima San Frecce end endorsed by FIFA. “Best young coaches in the world!” Wiel Coerver – ‘The Coerver Method’ – The World renowned international skills coach. The Ireland brothers were personal assistants to Coerver in the US, Middle East and were responsible for promoting and developing Coerver Method in Australia & New Zealand. “Some of the world’s very best youth skills trainers” “Simon Ireland has a new, ambitious and attractive coaching program that helps players develop the highest level of technical and tactical skills and creative ability with strong motivation and psychological emphasis.” Dr. Zdenek Sivek – Former Technical Director of Czech Football Association & Co-Chair of Union of European Football Trainers. UEFA Technical Cmtee. “We would like to seize the opportunity to thank you as well as congratulate you on your efforts in favor of the development of youth football.” Walter Gagg – former Head of the Technical Dept. F.I.F.A. “We are sure that from the excellence of Simon Ireland work in the past you will make an outstanding contribution to the community and enhance the prestige of our sport.” Keith Cooper – UEFA & Former FIFA Media Director. “I was highly impressed by your methods and emphasis on technical development. It was a privilege to contribute to your program.” Yevgeni Lovchev – Former Captain, U.S.S.R. National Team, 62 caps. Captain, & Spartak Moscow (Russian 1st Division). “The technical skills and coaching abilities of the Irelands is an invaluable experience that young players should not miss.”Chris Dangerfield – Former player San Jose Earthquakes (NASL). 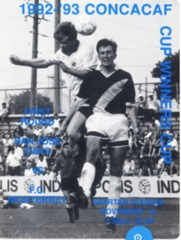 Former coach San Jose Oaks – Men’s State, Regional, National Champions (U.S. Open Cup) Former T.V. Commentator for M.L.S. “It would be my opinion that the Ireland’s have the necessary qualifications to coach and develop national and international caliber youth soccer players.” Jim Sheldon – Former Executive Director, National Soccer Coaches Association of America (NSCAA). “Simon Ireland’s approach to football is excellent. For the ambitious and serious player its a fantastic opportunity to broaden your complete understanding of the beautiful game. There is saying “In Football the truth always comes out on the field”. The Simon Ireland Staff are always there to demonstrate their sharp form on the field.” Christopher Sullivan– former European 1st Division Professional". World Cup player for U.S. National Team 1990. MLS player. FOX TV & MLS Soccer commentator. “The Irelands’ ability to analyze and distill basic elements of movement and technique and translate this into methods to improve the playing standards of young players is rare.” Terry Conley – Former Technical DoC, New Zealand F.A. "I have played and coached with Simon Ireland and not only is his skill and production amazing as a player, his ability to convey that knowledge to players of all ages and genders is truly unique. The best compliment I can pay Simon is that I would like for any player I coach to have had a chance to work and train with him before they played for me". Chris Ducar – Assistant Coach – University of North Carolina Womens Team. “You will learn skills that will enable you to become a world class player. They took the raw athleticism and added the finesse necessary to play at the level I am now.” Lorrie Fair – Former University of North Carolina, U.S. Women’s National Team & Chelsea FC. Coached by Simon Ireland staff for 4 years. Attended Simon Ireland camps, 2 years. Simon Ireland assistant coach and senior coach for 6 years. "Simon Ireland has a passion for our sport and the ability to translate that to his players. He is a terrific teacher of the game who can communicate exceptionally well and demonstrates the skills necessary to be successful." Brett Simon. Former Stanford University Men’s Coach. “I have played with and worked alongside the Simon Ireland Staff for many years. Their depth of knowledge on every aspect of the game is remarkable. Players love working with them because they have the right balance of intensity and levity. Each player that works with them finds dimensions they never knew existed.” Chris Ducar – UNC University of North Carolina Assistant Coach and Recruiting Coordinator. NCAA Asst Coach of the Year. Goalkeeper coach and National goalkeeper coach to U.S.A. U/21 National. “Some one of the most respected coaches that I have trained under…they emphasize skill, technique, creativity, helping participants with mental as well as physical discipline. Students will learn all aspects of the soccer game.” Aman Kebreab – Former MVP, San Jose State University Men’s Team.